Timber stable doors utilise a unique opening mechanism; divided in half horizontally, the top part of the door can be opened whilst leaving the bottom half shut. Great for providing extra ventilation to your home whilst keeping your kids safely inside, they bring their own brand of unique style and practical characteristics. Thanks to their traditional barn-style design, they’re the perfect fit for cottages and farmhouses, although they’re regularly found on new build properties too. 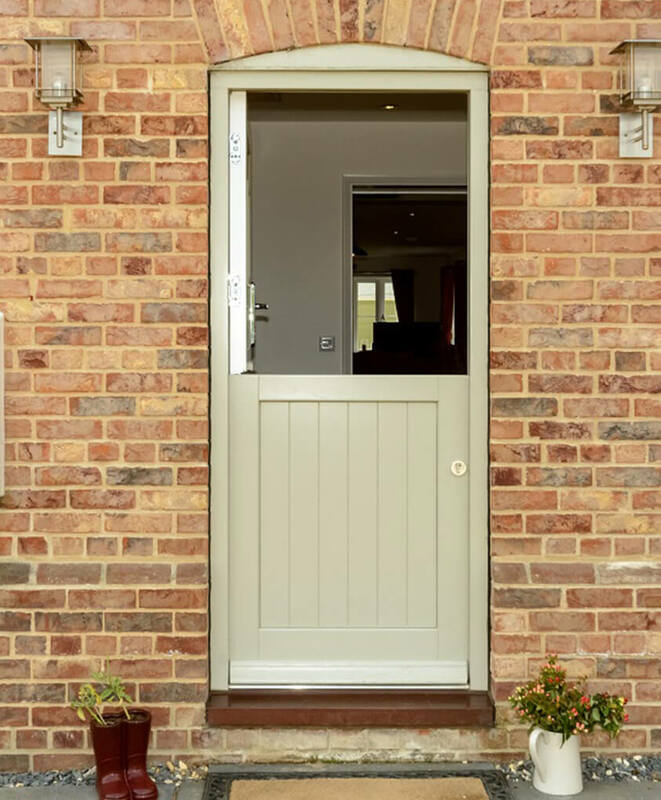 Highly customisable, T&K can create a bespoke variant using a range of timbers and colours from George Barnsdale, ensuring your stable door will fit onto your new home perfectly. Providing homeowners with a secure way to ventilate their home is only one of many benefits that are on offer with stable doors. Performing very well in terms of energy efficiency, they’ll keep your energy bills low, and thanks to the latest security hardware, will ensure potential intruders are unable to get in. Able to achieve U-values of 1 W/m2k, they’ll knock hefty sums off your energy bills. Advanced cylinder locks and multi-point locking systems are fitted as standard, ensuring security levels are extremely high. Concealed gaskets and sealing plugs feature between the door and the frame, so the door is completely sealed from the elements, when closed. The top door is operated via a handle on each side, whilst the lower door is operated externally via key and internally with a thumb turn. A diverse number of finishes can be achieved. Choose from contemporary, traditional or bespoke colours and three choices of wood. Finally, decide on a single, dual or mixed colour application so you can customise your doors exactly the way you’d like. T&K offers a range of glazing options, ensuring suitability to any purpose. Choices include security laminated glass, for optimal levels of security, and solar reduction glass, which helps reduce heat build-up caused by continual sun exposure. For additional customisation, we also provide a selection of stunning decorative glass. 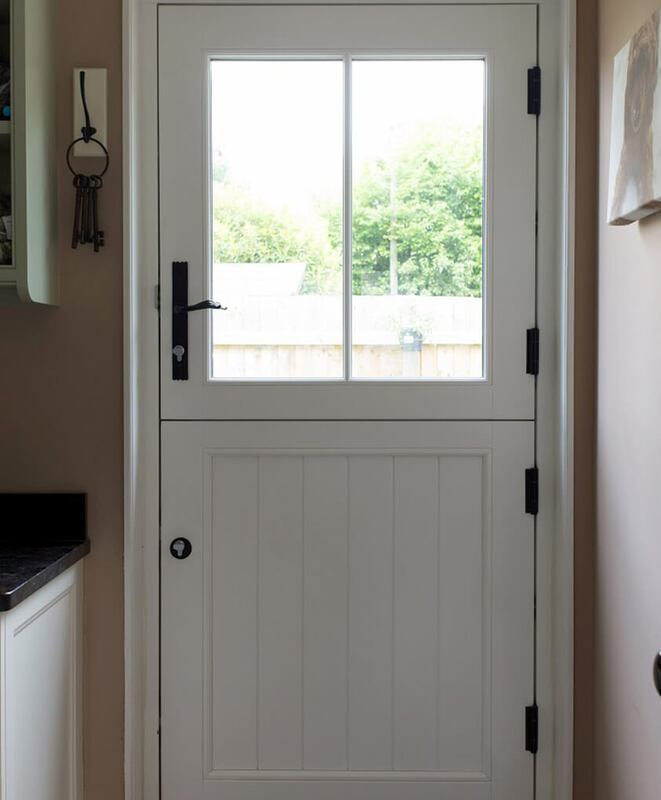 Utilising expert craftsmanship that has been continuously refined for over a century, the quality of wooden framing used on our stable doors is truly astounding. Finish off your stable door, with T&K’s selection of finely crafted hardware. Choices include a range of different handles and escutcheons. These can be finished in a number of stunning colours, including Gold, Pewter and Polished Chrome.